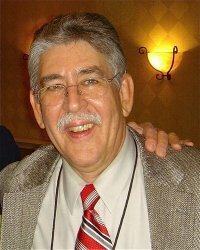 Joe Drabyak, bookseller extraordinaire, past President of the New Atlantic Independent Booksellers Association, friend and mentor to many, sadly passed away on August 27th, 2010. Joe was a supporter of PS by distributing the magazine at his store since we started 6 years ago. We are very sorry to hear about the loss to the local literary community, and our condolences go out to his friends and family. He will be sorely missed, but never forgotten. We all pray he’s in a better place now, reading a “Joe Pick”, and making recommendations to all that are with him. Rest In Peace, Joe. Arrangements for a memorial service are pending. We will post themtime and place as soon as they are finalized. Joe Drabyak, bookseller extraordinaire, past President of the New Atlantic Independent Booksellers Association, friend and mentor to many, sadly passed away on August 27th, 2010. Richard Gallin, the protagonist of Joseph Mackin’s Pretend All Your Life, is a man at a crossroads. After losing his son in the terror attacks of September 11, 2001, he’s seen his upscale Manhattan plastic surgery practice hit a slump matched only by the slump in the relationship with his latest longtime girlfriend. Meanwhile, he’s being hounded by a blackmailing investigative reporter whose “research” has allegedly turned up some dirt on the doctor just as the looming specter of his own inevitable mortality starts to make the first major forays into his consciousness. In short, recent events are forcing Gallin to question everything — from his life’s work right down to his choice of running shoes. Needless to say, the setting of the novel places Pretend All Your Life in the company of other post-9/11 meditations like Jonathan Safran Foer’s Extremely Loud and Incredibly Close, Don DeLillo’s Falling Man, and Spike Lee’s 25th Hour. What sets Mackin’s novel apart from these other titles, however, is its distance from the events. Writing nearly a decade on (God, has it been that long? ), Mackin assesses the events and their fallout with a degree of intellectual clarity that’s lacking in Safran Foer and emotional intensity that’s missing in DeLillo. To put it another way, the fact that Mackin’s protagonist is an adult means that his grasp of the historic situation is much more knowing than that of Safran Foer’s child narrator. Moreover, the fact that Mackin avoids abstract philosophizing makes Gallin more sympathetic than DeLillo’s protagonist. Or, to put it yet another way, Pretend All Your Life presents the best of both worlds; it is as smart as it is heartfelt and thus, to my mind, the best reflection on post-9/11 America written to date. One thing that makes Pretend All Your Life so complex and engaging is its focus on the tension between appearances and reality — a tension that is underscored by Gallin’s career as a plastic surgeon. Having dedicated his life to making people beautiful, the doctor has all but convinced himself that what he does is no less important than that of other physicians, that he is, in fact, making the world a better place by bringing the outward appearance of his patients into alignment with their inner beauty. The problem, however, is that for all of the outer beauty he’s created in his own life, Gallin’s inner life is a mess, a disparity that’s writ large throughout Manhattan in the wake of the terror attacks. Within this context, the destruction of the World Trade Center towers reads like the perverse opposite of Gallin’s career in that the the immeasurable ugliness of the event brings the inner turmoil of a nation to the surface. Ultimately, the novel is not only about rebuilding and healing, but also about the difficult choices we need to make about who we want to be before we can begin to start our lives anew. With the tenth anniversary of September 11 a little over a year away, there’s no doubt that we’ll be seeing a flood of retrospectives on that terrible day over the course of the coming months. Fortunately, Pretend All Your Life is ahead of the curve, for it sets a complex tone that satisfies both emotionally and intellectually. It is, in short, a powerful and moving book on what may well be the most difficult of subjects for Americans to ponder. About two thirds of the way through Andersen Prunty‘s The Beard, protagonist David Glum watches helplessly as the arm of a man who may or may not be his father (but probably is) turns without cause or provocation into a two-by-four. This, however, is par for the course for the beleaguered Glum. In the opening chapters of the novel, he sees a herd of elephants abduct his grandfather, tries and fails to publish a novel, eats a psychotropic sandwich, rides a bus driven by a silent figure whose head resembles an onion, and decides to return home to Ohio to grow a beard (though not necessarily in that order). Things, however, start to get strange when Glum’s mother dies and he discovers that his family has been hiding the sacred eternal flame of a (possibly imaginary, definitely angry) tribe of (not-quite) Pacific Islanders in their attic. To say that Prunty is a shining star of the Bizarro movement would, at this point, be redundant, but I’ll say it anyway: Andersen Prunty is a shining star of the Bizarro movement. 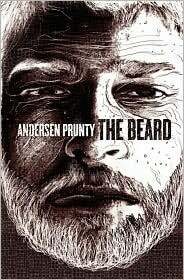 Throughout The Beard, Prunty proves himself a natural at creating mind-bending landscapes that operate according to a warped brand of dream logic that’s especially effective in his treatment of characters. As in a dream, his protagonist is at the mercy of forces that are both far beyond his control and, paradoxically, frequently of his own unconscious making. Likewise, the notion of identity is highly fluid throughout the novel. Glum’s father, for example, is initially described as an overweight, malicious bore but, in the blink of an eye, becomes (or, depending on how you look at it, is replaced by) a skinny, relatively friendly gentleman who turns out to be the kind of father that Glum always wanted. Within the framework of traditional storytelling, such sudden transformations might be decried as inconsistencies, but in the bizarro realm, they’re the whole point of the story. To put it in another way, Prunty is playing games with the conventions of storytelling–and cackling like a madman as he plays havoc with his reader’s expectations. Among the more egregious “violations” of the rules of traditional storytelling is Prunty’s fondness for deus ex machina — as when the arm of Glum’s father turns into the aforementioned two-by-four, or when a team of semi-invisible bodyguards semi-appears to defend Glum from sniper fire. Yet as these examples suggest, Prunty elevates deus ex machina to an art form by making each occurrence more outlandish — and therefore entertaining — than the last. Indeed, half the fun of reading The Beard is turning the page to see what Prunty will do next as the god of his fantastically twisted realm. My sense, moreover, is that Prunty and writers like him aren’t playing with the conventions of traditional storytelling just for the sake of zaniness. Rather, they’re drawing attention to the artificiality of all stories by heightening our awareness of those elements that are most contrived. Glum’s quest to return the sacred flame to its rightful owners mirrors, for example, mirrors the plot of The Lord of the Rings trilogy almost perfectly, but the execution of the details reminds us that both stories are, in the end, stories. In so doing, The Beard also (and appropriately, given the double entendre inherent in the title) gives the lie to all efforts at storytelling. To wit, it’s all artificial, so we might as well go wild and have fun with it. Of course, Prunty’s work, like bizarro fiction itself, is an acquired taste. Perhaps this is why he offers The Beard as a free download at Smashwords. My advice for the uninitiated is to check it out, kick the tires, and, if you like what you read, then buy the book–or any of Prunty’s seven other books that are either currently available or on their way. If weird is your cup of tea, then Prunty is your man.